In this podcast, we talked Strange vs Strainge, Ski Mask The Slump God vs Twista + album reviews from Trippie Redd, Lil Pump & Belly. Podcast: Does Hip Hop need a producer union? The face of Roc Nation: Vic Mensa or J. Cole? + album reviews from Meek Mill, Tyler the Creator & Chris Rivers. In this Hip Hop podcast, we discuss the XXL Freshmen Freestyles, the issues with SoundCloud + album reviews from Starlito, Twista & French Montana. In this podcast episode, Killeen's Bigg UU and Riffa interview fellow Killeen representer and comedian Tom Teezy and we talk everything related to comedy. In this 'Truth Be Told' podcast episode we talk Suicide Squad, George Zimmerman, Vic Mensa, Bow Wow's retirement, R. Kelly's younger woman and more! This week on the audio podcast, new music from Swa Playmaker, MAHD, Khary, Trae Tha Truth & Philthy Rich. Subscribe on iTunes & Google Play! In this podcast, we talk politics, Donald Trump, Kevin Durant's beef with Westbrook, Kanye West, the 4 point line and the new segment: Put Riffa On. Check out Episode 009 of the Truth Be Told Podcast where Riffa makes his return. We talk about the Joe Budden/Drake beef, Apple & Tidal and a lot more! This time on the Audio Podcast, we bring you 5 tracks from Slim Thug, Maxo Kream, Esohel, Dizzy Wright & Cryface Jordan for the 4th of July Weekend. 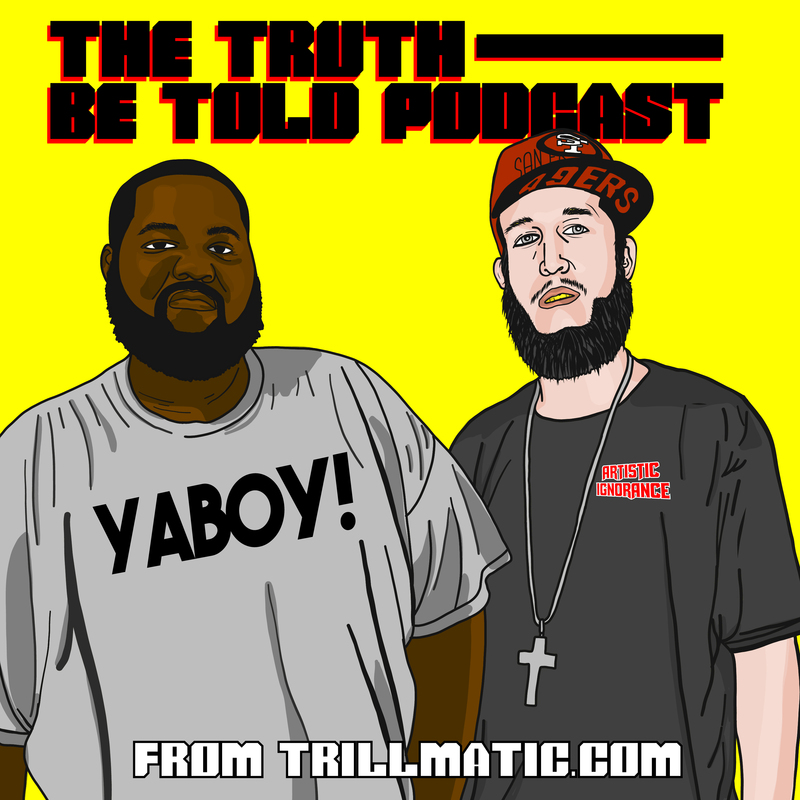 Bigg UU & Riffa of The Truth Be Told Podcast interview Waco rapper/turned film director Terry Bluez & how he ran into Bigg UU in Vegas on accident. Bigg UU and Riffa of the 'Truth Be Told' Podcast link up with Portland, Oregon rapper/producer Tope for the first interview of the podcast.